Judge Shah, a native of northwest India, was running three restaurants and a newspaper route in Staunton when his wife, Shruti, encouraged him to follow his passion and attend law school. 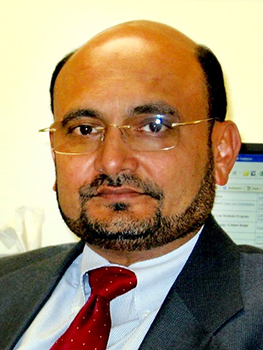 Judge Shah graduated from Syracuse University Law School and went to work as a prosecutor in Augusta County, where he worked for 20 years. In 2017, Shah was elected by the General Assembly to be the district judge for the 25th district, becoming the first Indian American on the bench in the commonwealth. Edward L. Weiner of Weiner Spivey & Miller in Fairfax, nominated Shah, noting his service to the bar as 2009 “Bar Leader of the Year,” and his role as president of the Augusta County Bar Association. Judge Shah also served as chair of the VSB Diversity Conference and oversaw the Millennium Diversity Initiative. The Dunnaville Award, which commemorates the life of civil rights leader Clarence M. Dunnaville Jr. and his unceasing devotion to improving diversity and equality in our commonwealth, will be presented on Friday, June 15 at the 80th Annual Meeting in Virginia Beach.